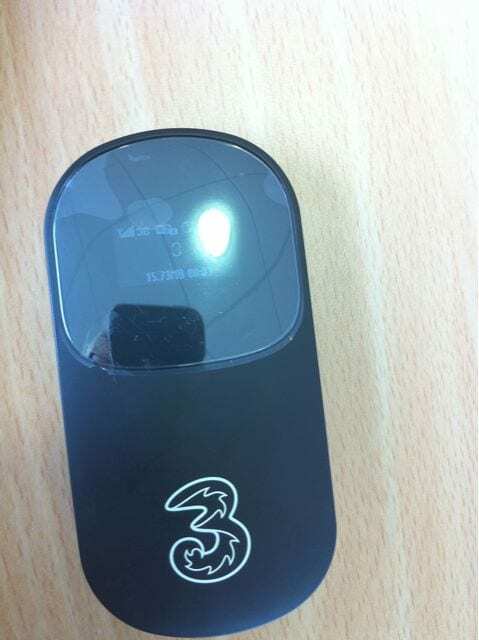 So you might have seen recently that I was trialling the MiFi from Three to see how I got on. My general response was that I liked the idea of it, but the design of the item was a bit meh. I don’t like buttons that I have to jab in a certain order, I like to turn something on and for it to Just Work. An hour after that post published, Michelle at ThreeMobileBuzz got back in contact with me to offer me a trial of the next version of the MiFi. Its a lot nicer looking – white plastic only looks good on Apple products (thats why I didn’t go for a white Dell netbook – it just looked wrong!) and gives much more information on the screen.